03/11/17 – Xris SMack! BDay at the QXTs Carnival! Xris SMack! 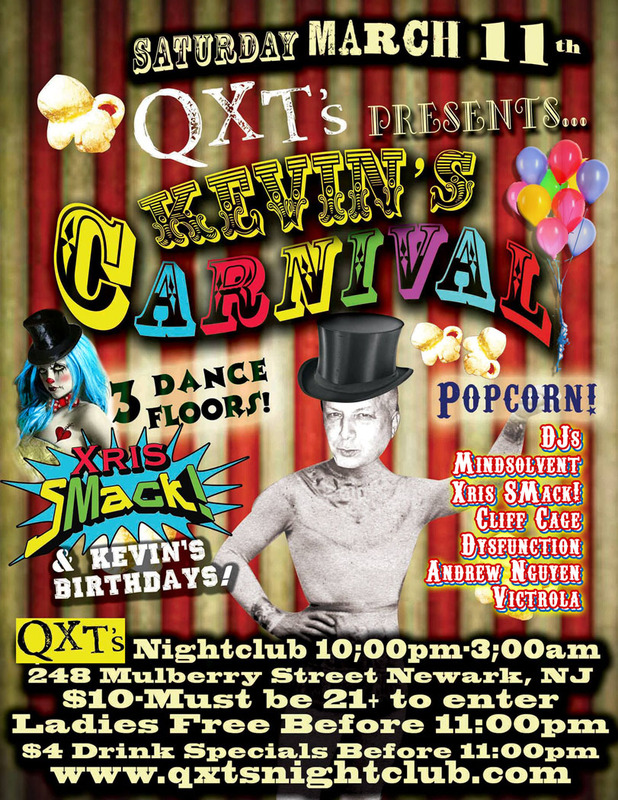 BDay at the QXTs Carnival! DJ Xris SMack creator and DJ of STIMULATE & SMack! We will of course have popcorn, cake, deco and some wild party animals (you) set loose on our 2 levels // 3 Dance Floors! :Carnival, Damian Plague, EBM, Electro, Industrial, QXTs, Xris SMack!